Should We Have School on Columbus Day? towards Native Americans, so it’s evident why this is a controversial day. In response to this, states such as Alaska, Florida, Oregon, Hawaii, Vermont, and South Dakota have decided to recognize the day as Indigenous People’s Day instead. Iowa and Nevada don’t claim it as an official holiday, but are required to recognize and proclaim a day of celebration each year. Several states have even removed the day as a paid holiday. In Columbus, Ohio, the government chooses to honor veterans, and some tribes in Oklahoma renamed the day to Native Americans Day. 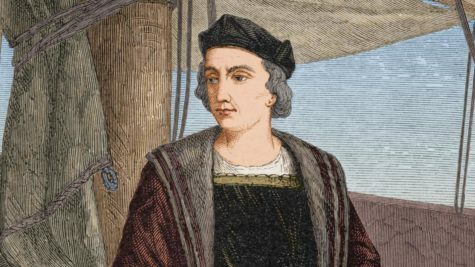 Despite all of that, Columbus Day is still recognized in Wisconsin, but federal workers still have to go to work. So, should schools and federal businesses change and close on this day? Or should Wisconsin join in celebrating Indigenous People’s Day? Both sides have strong arguments that should be considered, so I’m leaving readers with one question: Do you think this controversial day should be replaced or should we close schools in honor of Columbus’ discovery?